Advisors and their clients in all matters relating to financial and wealth planning. He has an extensive and varied background in the financial services industry garnered over 28 years. He started at Dain Bosworth managing the cash management, insurance, and annuity programs, and ultimately served as the Director of Corporate Executive Services. 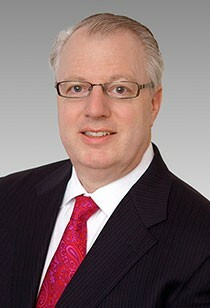 He then became a partner and the Director of Wealth Management at J.C. Bradford & Company. Most recently Steve was the President of the Corundum Group, managing over $1.25 billion in assets. He received his degree in business administration from the University of Minnesota. April Zee helps clients first explore, then more clearly identify, what is most important to them. With over 14 years of experience in the financial services industry she is then able to create holistic, tailor-made and objective wealth planning solutions. She helps clients understand their options and make decisions designed to constructively advance them toward achieving the family’s individual and collective goals. Most recently April was a Wealth Planner at MUFG Union Bank. 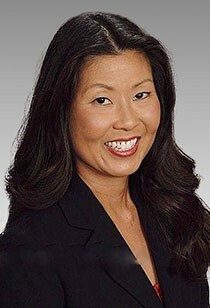 Prior to that, she was at Wells Fargo Bank for 11 years as a Wealth Planner. Before joining the financial service industry, she was a psychotherapist, providing psychotherapy for children and their families. April has a certificate as a Personal Financial Planner. She has earned her degree in psychology from the University of California, San Diego. She received her master’s in psychology from Pepperdine University. She has also completed all of her course work for her doctorate in psychology from Ryokan College. Connie provides education, marketing and support for all types of retirement plans, including 401(k), 403(b), Simple, SEP, IRA, Roth or 529 plans, and is a technical resource for qualified and nonqualified retirement plans, IRAs and annuities. Connie has extensive experience in the securities industry, particularly with helping clients plan for the future. She received a BS in business finance and holds the Qualified Plan Financial Consultant (QPFC) designation through ASPPA (American Society of Pension Professionals and Actuaries) and earned the AIF® certification through the Center for Fiduciary Studies (an fi360 company). She also is an active participant in ERISA (Employee Retirement Income Security Act) workshops and seminars to stay current with the latest compliance and regulatory changes surrounding retirement plan administration. She first joined D.A. 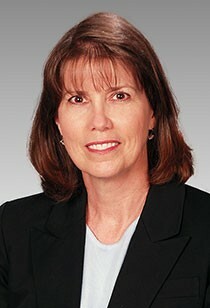 Davidson Companies in 1997 as Vice President, Trust Officer with D.A. Davidson Trust Company, providing recordkeeping services that included compliance testing, plan administration, document design and educational meetings for retirement plan clients. She began her career in 1987, working for a third party administration firm, then moved to an investment management trust firm as Vice President and Trust Officer in Fargo, North Dakota.